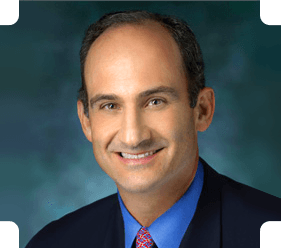 Dr. Richard W. Barth is an orthopaedic surgeon specializing in surgery of the hand and upper extremity, with particular expertise in upper extremity sports injuries. He is an assistant clinical professor of Orthopaedics at Georgetown University Medical Center and George Washington University. Dr. Barth serves as a hand consultant for the Washington Capitals and Washington Wizards. He is a former President, Vice President, and Secretary/Treasurer of the Washington Orthopaedic Society. He has served on the Board of Councilors of the American Academy of Orthopaedic Surgery representing Washington, DC. He is currently Chief of the Section of Orthopaedic Surgery and Hand Surgery at Sibley Memorial Hospital. Dr. Barth was a member of the American Academy of Orthopaedic Surgery Carpal Tunnel Syndrome work group. This work group published the evidenced based guidelines for the diagnosis and treatment of carpal tunnel syndrome. Dr. Barth is board-certified by the American Board of Orthopaedic Surgery in both Orthopaedic and Hand Surgery. Assistant clinical professor, Orthopaedics, George Washington University, Washington, D.C., 1998-present. Barth, R.W., Zimmerman, P.A., McDonnell, J., Menkowitz, B., Ullman, T., Muschler, G., Lane, J.M. : The Use of Thyroxin in a Segmental Femoral Defect Model in the Rat. Poster Presentation, Orthopaedic Research Society, Atlanta, Georgia, February 1-4, 1988. Barth, R.W., Zimmerman, P.A., McDonnell, J., Menkowitz, B., Huber, B., Muschler, G., Lane, J.M. : Early Transient Hyperthyroidism Enhances Bone Repair in a Rat Femoral Defect Model. Poster Presentation, American Society for Bone and Mineral Research, New Orleans, June 4-7, 1988. Barth, R.W. and Lane, J.M. : Osteoporosis. In: Orthopaedic Clinics of North America 19:845-858, 1988. Barth, R.W., Williams, J.L., Kaplan, F.S. : Osteon Morphometry in Female Patients with Femoral Neck Fractures. Clinical Orthopaedics and Related Research, 283:178, 1992. Jupiter, J.B., Levine, A.M., Trafton, P.G., eds. Skeletal Trauma. Philadelphia, W.B. Saunders Co., 1992, pp. 432-441. Barth, R.W. : Patellofemoral Malalignment: A Review: The University of Pennsylvania Orthopaedic Journal, Volume 7, Spring, 1992. Barth, R.W. : Book Review, Journal of Hand Surgery, 17:978, September, 1992. Muschler, G., Huber, B., Ullman, T., Barth, R., Easley, K., Otis, J., Lane, J.M. : Evaluation of Bone Grafting Materials in a New Canine Segmental Spinal Fusion Model. Journal of Orthopaedic Research, 11 (4): 514-524, July, 1993. Barth, R.W., Fischer, T.J.: Accidental Injections of Poultry Vaccines into the Hands of Poultry Workers. Presented at the tenth annual Indiana, Louisville, Cincinnati tri-state Hand Meeting, Louisville, Kentucky, May 20, 1994. Barth, R.W. : "Tendinous Injuries: Flexor Carpi Ulnaris Tenosynovitis", Master Cases in Hand And Wrist Surgery, K.D. Plancher, M.D. and B.J., Sennett, M.D., eds., Thieme Publishers, 2004. Barth, R.W., Anderson, RJ, "Small Joint Fusions", Master Techniques in Orthopaedic Surgery, The Hand, 2nd Edition, Strickland, JW and Graham, TJ, eds, Lippincott Williams and Wilkins, 2005. Michael Warren Keith, Victoria Masear, Kevin Chung, Kent Maupin, Michael Andary, Peter C. Amadio, Richard W. Barth, William C. Watters, III, Michael J. Goldberg, Robert H. Haralson, III, Charles M. Turkelson, and Janet L. Wies: AAOS CLINICAL PRACTICE GUIDELINE SUMMARY: Diagnosis of Carpal Tunnel Syndrome. J. Am. Acad. Ortho. Surg., June 2009; 17: 389 - 396. Michael Warren Keith, Victoria Masear, Peter C. Amadio, Michael Andary, Richard W. Barth, Brent Graham, Kevin Chung, Kent Maupin, William C. Watters, III, Robert H. Haralson, III, Charles M. Turkelson, Janet L. Wies, and Richard McGowan: AAOS CLINICAL PRACTICE GUIDELINE SUMMARY: Treatment of Carpal Tunnel Syndrome. J. Am. Acad. Ortho. Surg., June 2009; 17: 397 - 405. Michael Warren Keith, Victoria Masear, Kevin C. Chung, Peter C. Amadio, Michael Andary, Richard W. Barth, Kent Maupin, Brent Graham, William C. Watters, III, Charles M. Turkelson, Robert H. Haralson, III, Janet L. Wies, and Richard McGowan. American Academy of Orthopaedic Surgeons Clinical Practice Guideline on The Treatment of Carpal Tunnel Syndrome. J. Bone Joint Surg. Am., Jan 2010; 92: 218 - 219. Rishi Bhatnagar, MD, Stephen Gunther, MD, Rishi Sood, BS, Richard Barth, MD: Prevalence and Treatment of Methicillin-Resistant Staphylococcus Aureus in Hand Infections Presenting to an Urban Setting. Poster presentation, Southern Orthopaedic Association Meeting, Puerto Rico, June, 2010.